IOT Group (ASX:IOT) says it has received indicative opening orders for its ROAM-e ‘selfie drone’ of 150,000 to 200,000 units this year – just as it starts a sales pitch to retailers. Executive director of IOT Group and ROAM-e inventor Simon Kantor told investors today of the indicative sales – which could grow on the back of retailer presentations in late June. Chinese manufacturing partner AEE is currently gearing up for a production run in the third quarter – while IOT said it would be in a position to shoot a demonstration video of the ROAM-e unit next week. That video will form part of the sales pitch for the company, which will be made to “big box” retailers in New York. IOT will pitch the ROAM-e drone as the ‘it’ product for the Christmas season. “The personal drone unit market is growing rapidly in the US, Canada, and Mexico, and retailers are extremely eager to purchase products that are innovative, priced well, and exciting, and our team is looking forward to showing them this great device in a few short weeks,” CEO of IOT’s distribution partner in North America TopTech Distribution, Bryan Corlett, said. Kantor said the 150,000 to 200,000 figure was an indicative figure – and did not take into account any extra interest which may be generated by the sales pitch. IOT launched into the consumer electronics market in May last year – aiming to disrupt the market by providing lower-cost products. 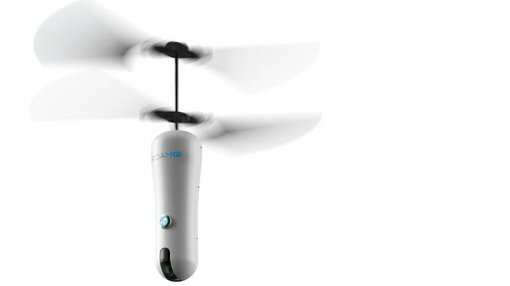 It previously launched a low-cost smartwatch, but its so-called selfie drone has caused most of the buzz. It is one of a number of companies trying to come up with a selfie drone – with the drone tracking its owner and shoots video footage and photos of them.